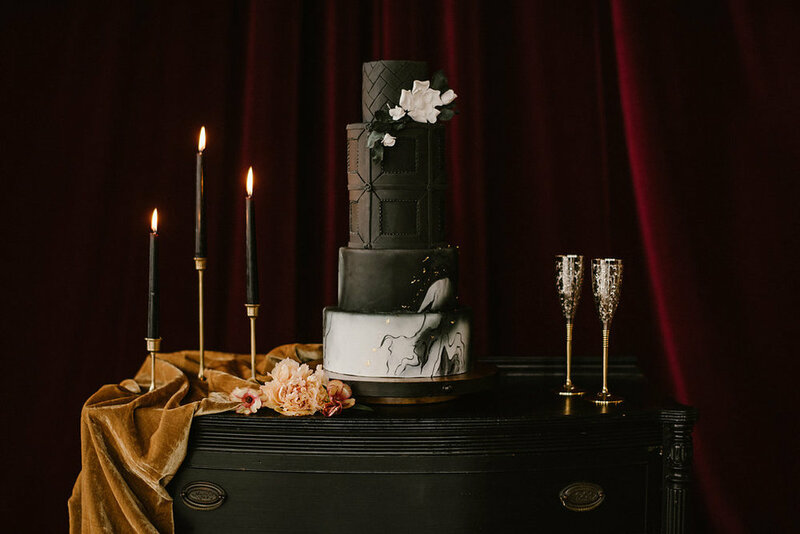 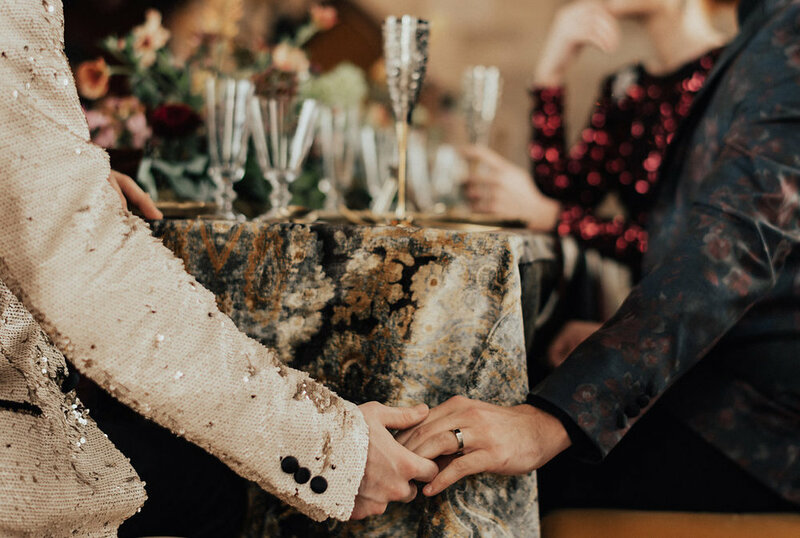 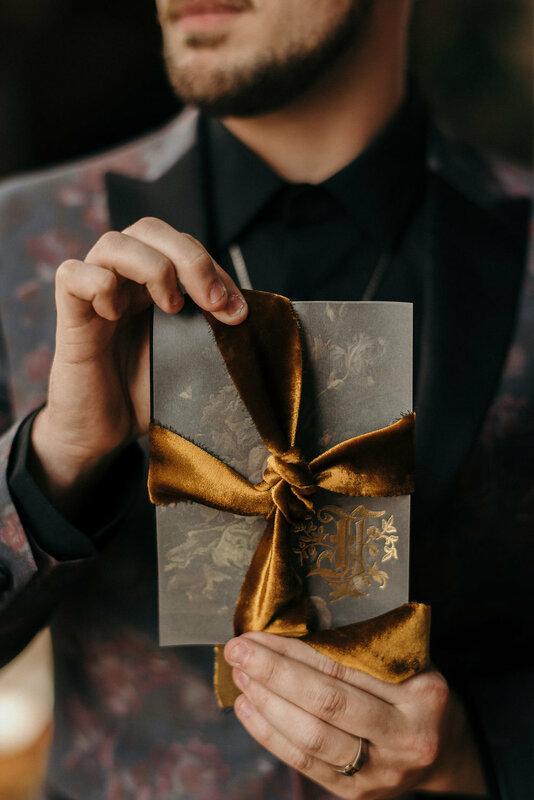 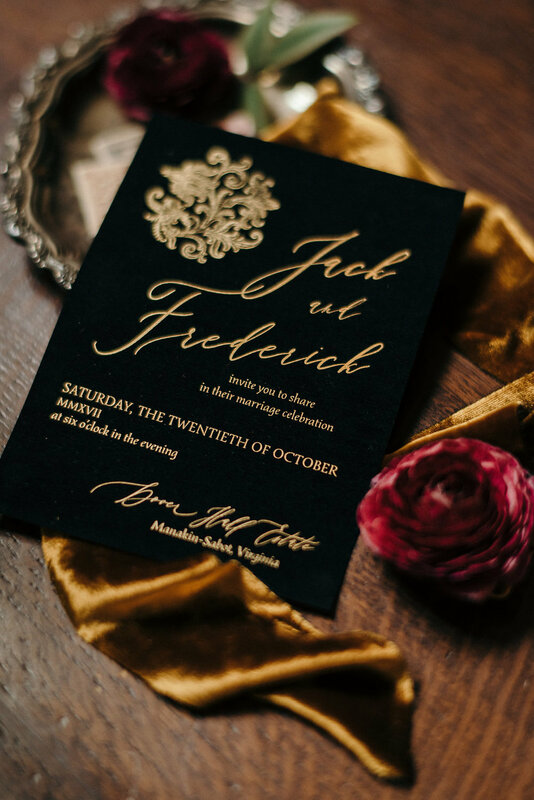 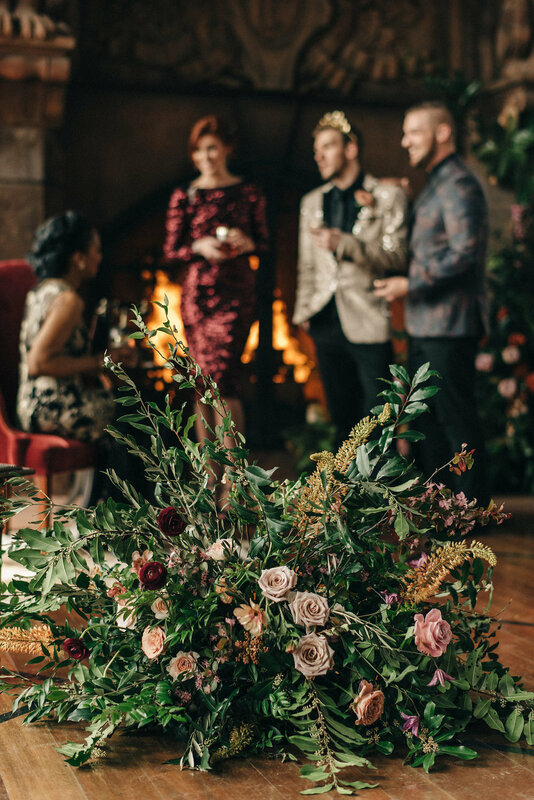 We are so excited to share this luxurious styled shoot at Dover Hall, designed and coordinated by Swoon Soiree, and beautifully photographed by Alex Tenser. 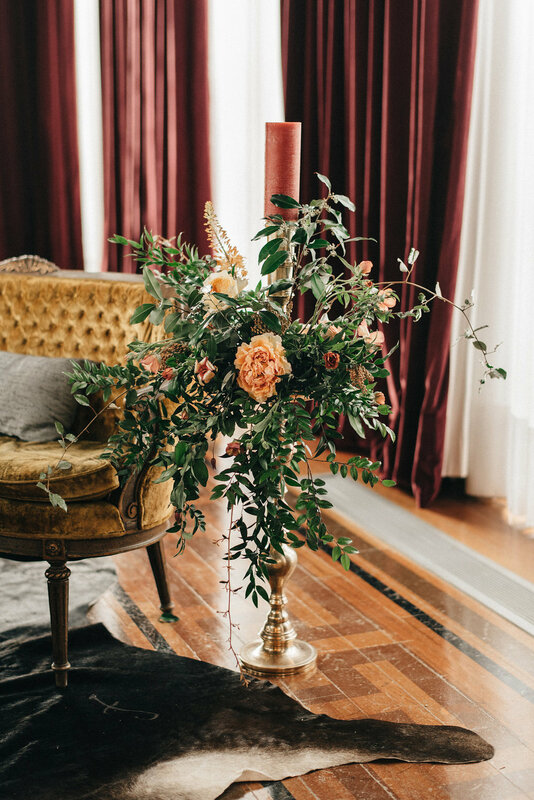 Working on styled shoots gives us an opportunity to collaborate with other designers, explore unique color pallets and allows us the freedom to create designs that we might not get to try during the wedding season. 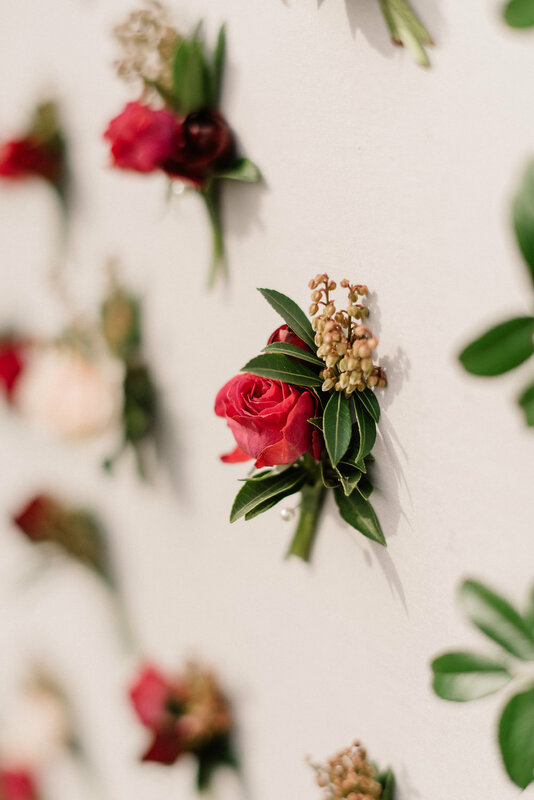 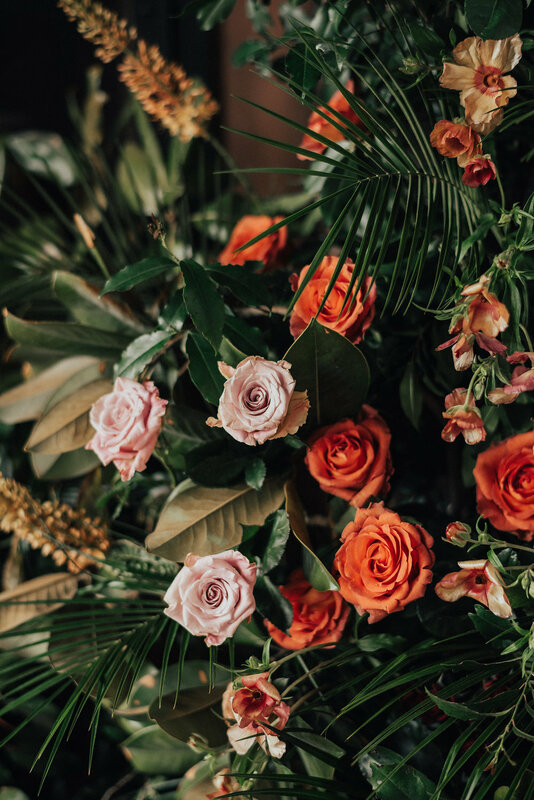 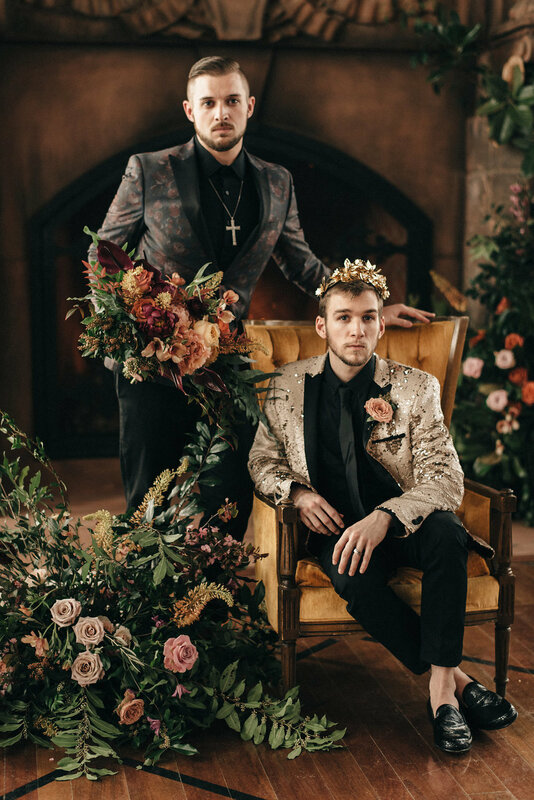 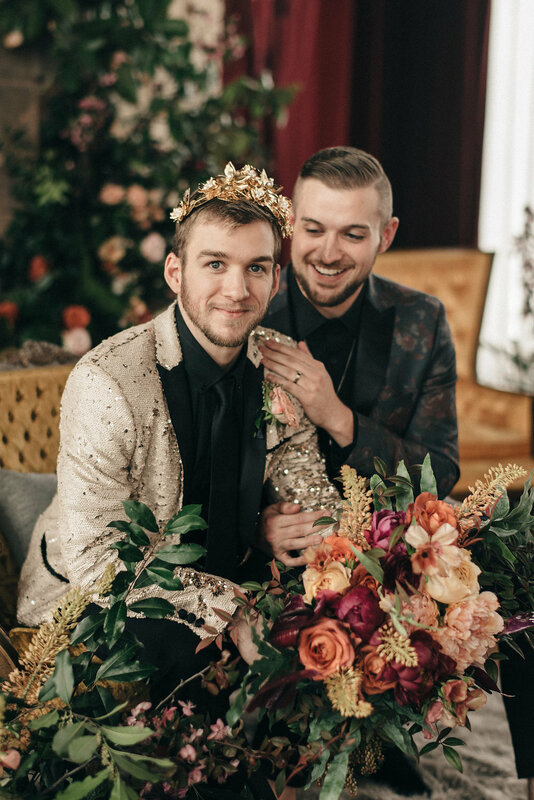 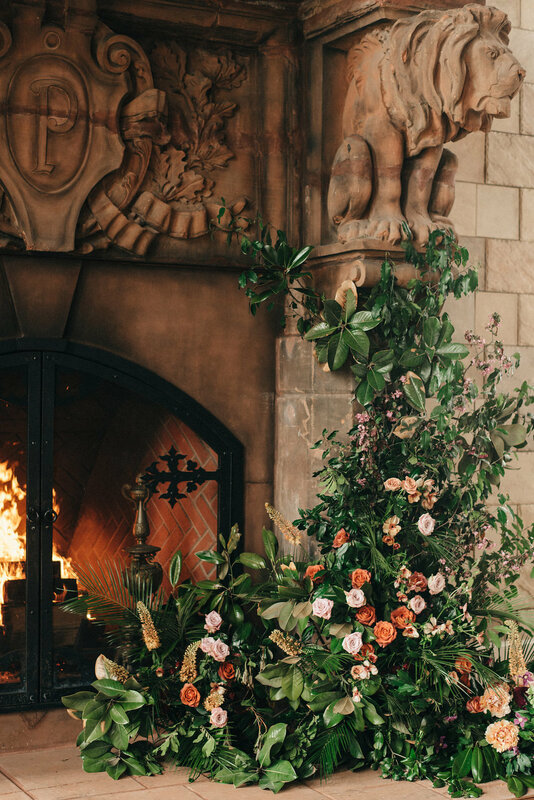 We felt like this shoot was the perfect opportunity to create masculine, moody and romantic florals that played off of the incredible venue, Dover Hall. 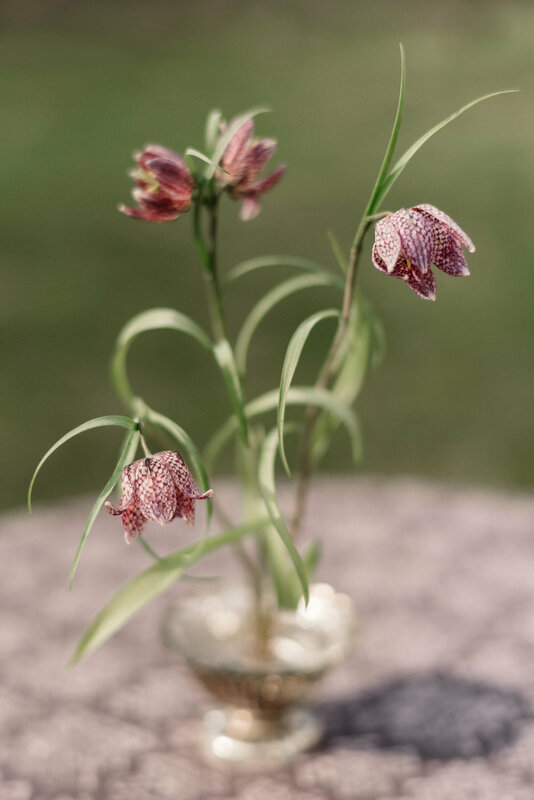 Instead of traditional centerpieces, we opted for a lush tablescape filled with iridescent butterfly ranunculus and gestural fritillaria grew up naturally from the tabletop. 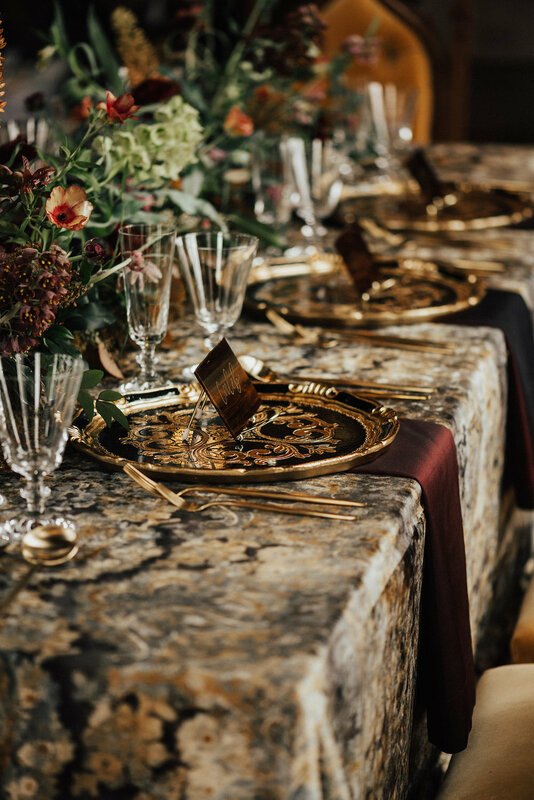 An ornate velvet tablecloth and gleaming gold table settings completed the look. 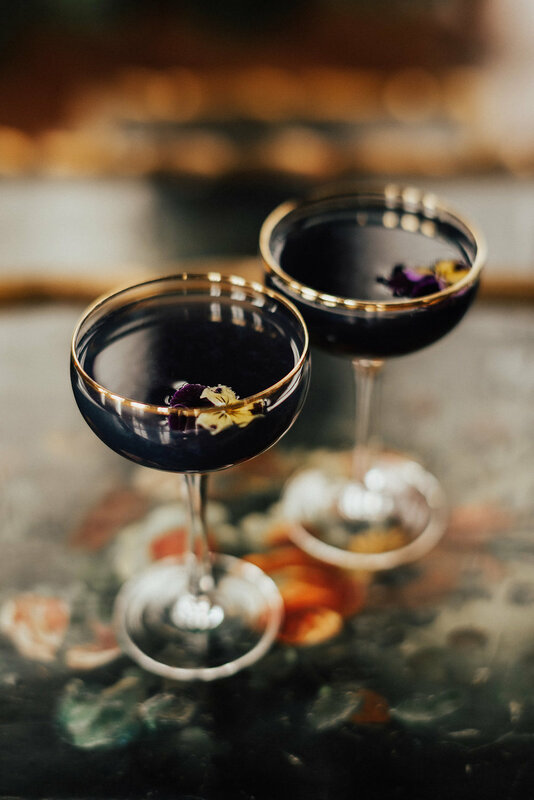 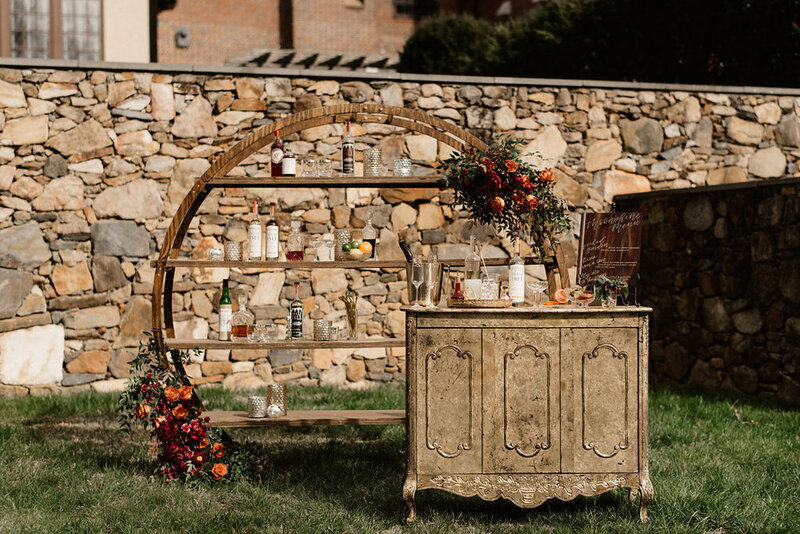 Pops of dark greenery and bright blooms decorated the Belle Isle moonshine bar, as well as the whimsical boutonnière board. 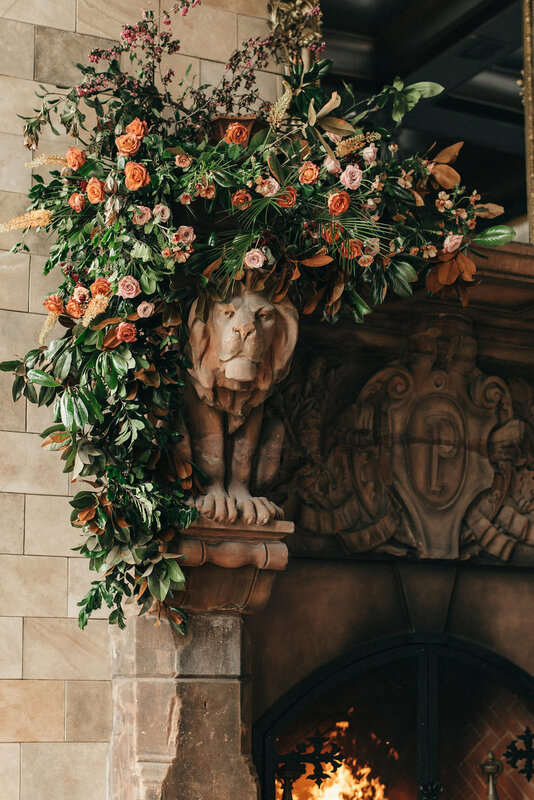 Our favorite part of this shoot (and one our largest installations to date) are the show stopping florals on the massive stone fireplace. 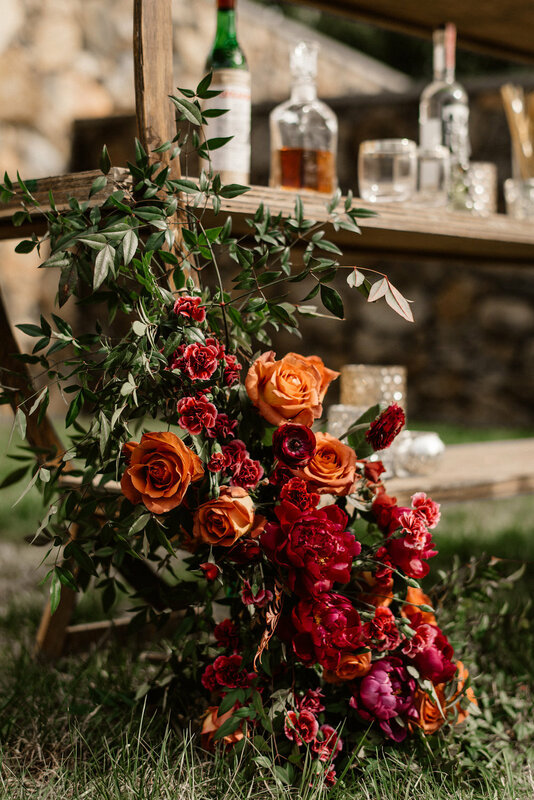 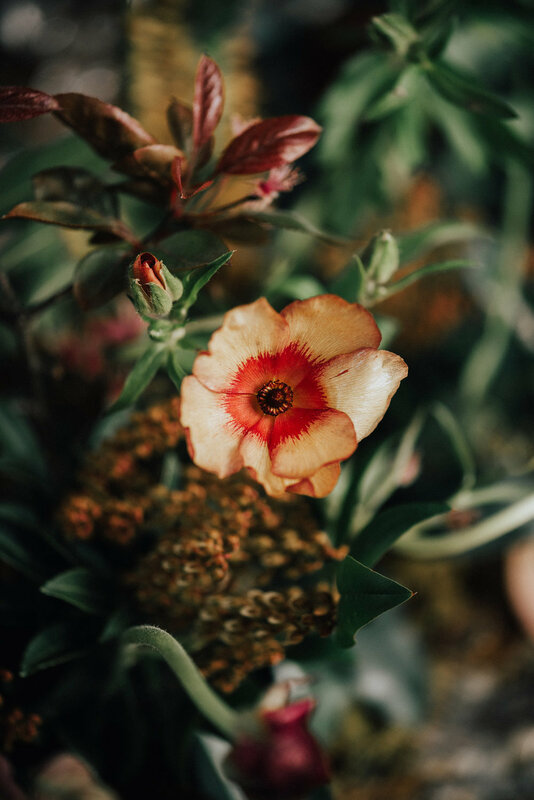 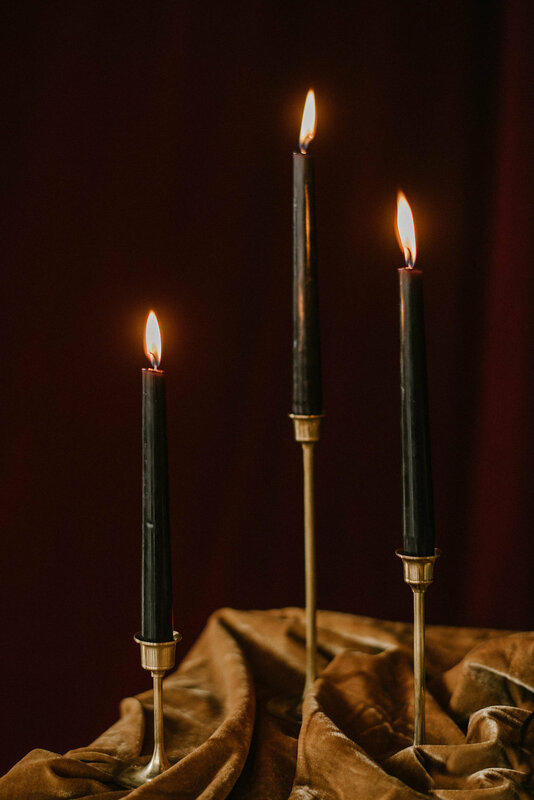 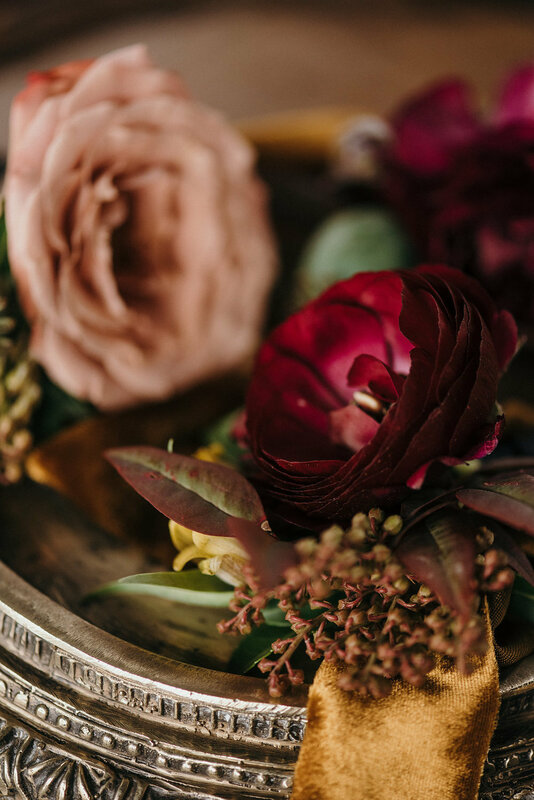 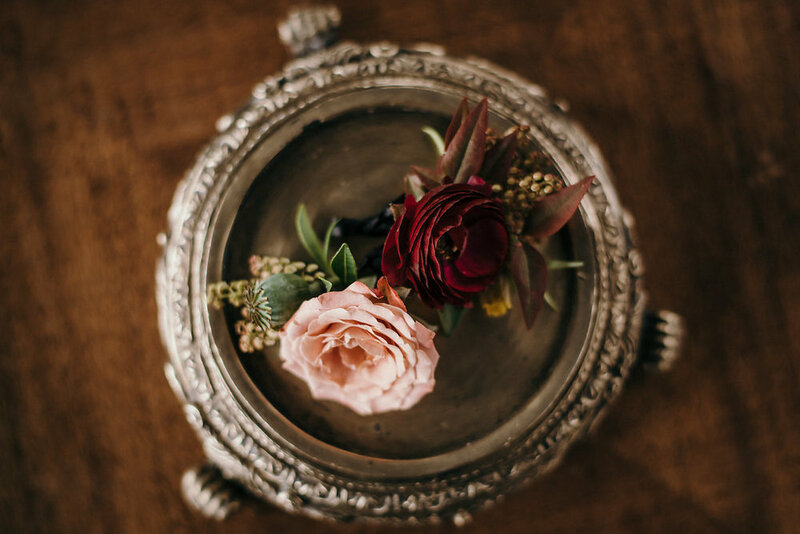 The overflowing mass of magnolia greens tumbled down from the fireplace, and burgundy ranunculus , rust colored roses, and mustard yellow fritillaria tangled around the legs of the nearby chairs. 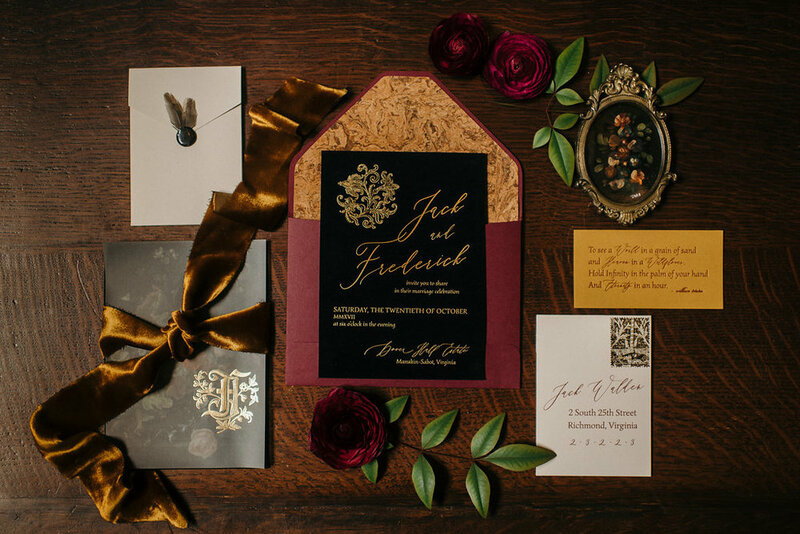 We are thrilled to be apart of the talented team who helped bring this shoot together.